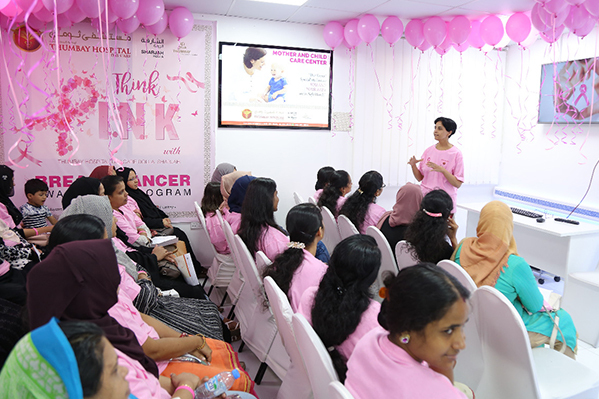 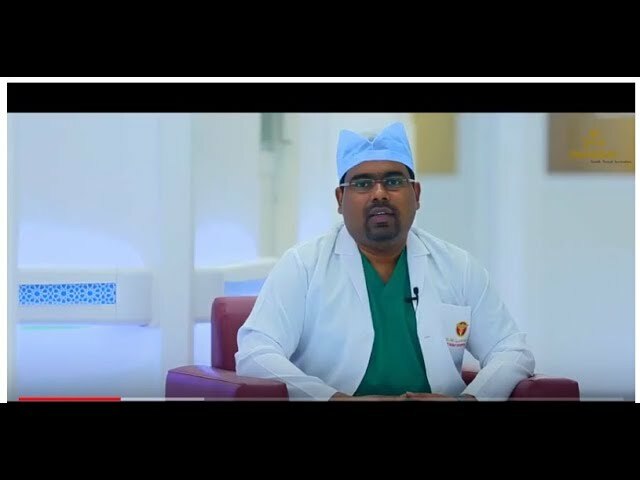 Thumbay Hospital Day Care – Rolla, Sharjah conducted a ‘Breast Cancer Awareness’ program in association with Malabar Adukkala, on 19th October 2018. 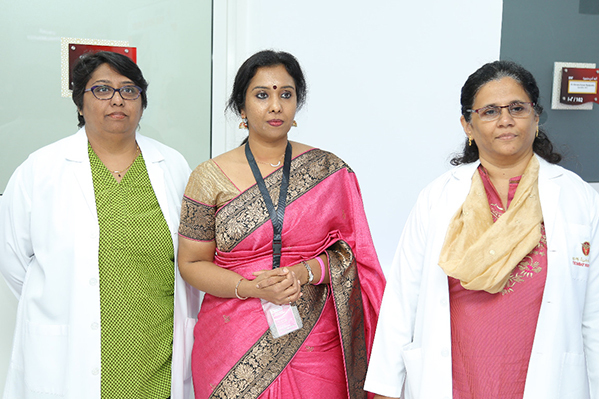 Conducted as a part of the hospital’s Community outreach programs, the event featured Breast cancer awareness talk by specialists Dr. Ashish Sam Enos, Dr. Shalini Somnath, Dr. Sangita Kulkarni and Dr. Sharada. 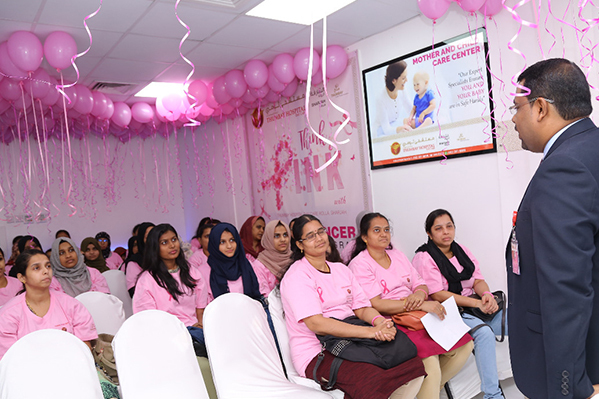 Provided Free health checkup with specialist doctors and free breast ultrasound screenings. 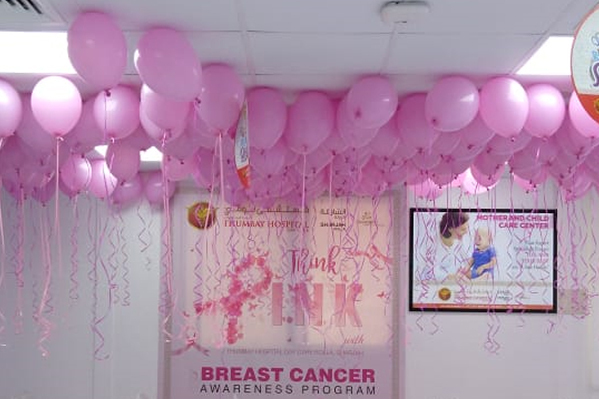 Program started with standing on the shape of breast cancer logo and released helium balloons. 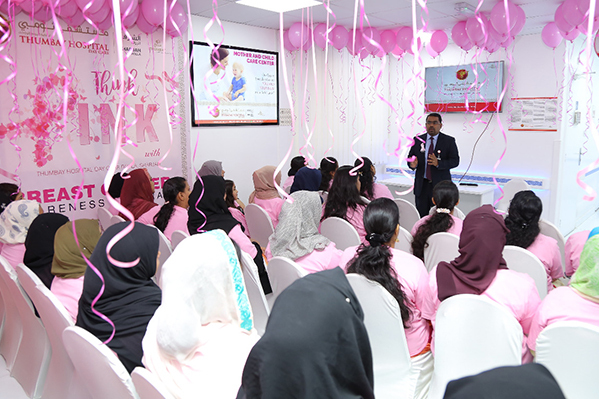 Over 150 ladies participated in the program. 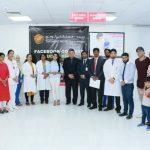 Malabar Adukkala conducted saladiucious contest through social media, Prizes were awarded to the winners of Salad competition, the first prize Samsung TV, 2nd prize Samsung Mobile and 3rd prize ZO & MO optical GIFT. 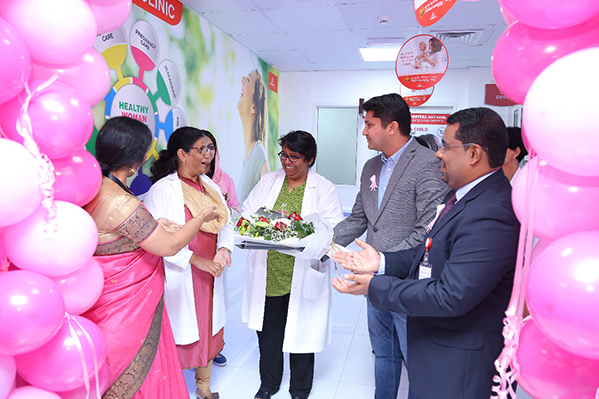 Malabar Adukkala and team were presented with Momentos and certificates, as a mark of appreciation for their support to the program. 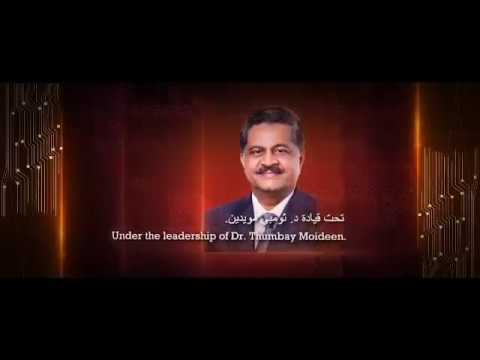 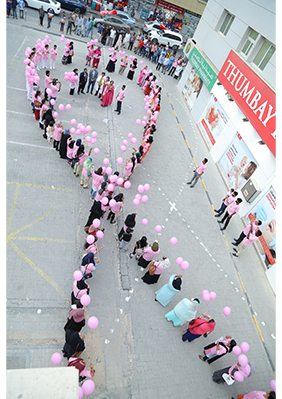 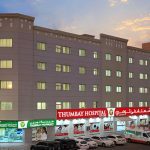 Thumbay Hospital Day Care Rolla Launched the Exclusive Well Woman Clinic on the day of Breast Cancer Awareness. 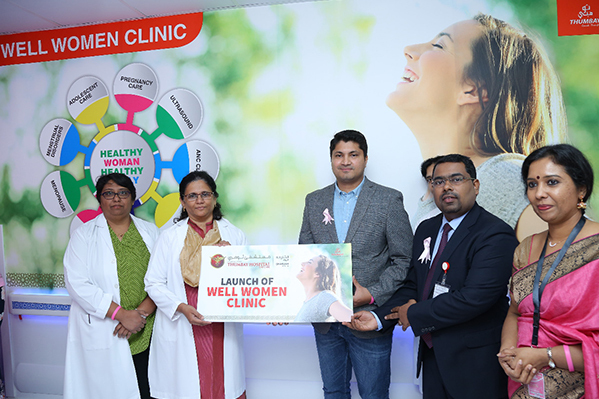 Well Women Clinic Launched with the purpose of serving patients looking for treatment including lifestyle diseases, Infertility, Menstrual Disorders, Menopause and adolescent care.